Nicholson’s public appearances are rare since they arise rumors suffering from Alzheimer’s. Vive confined to his mansion and, for some time, the few times it does leave home with her daughter Lorraine. His last public act was the Oscars in 2013 and his latest film ‘How do you know if …?’ 2010. Jack Nicholson you may never again see him in a movie, none with a paper star, of course. 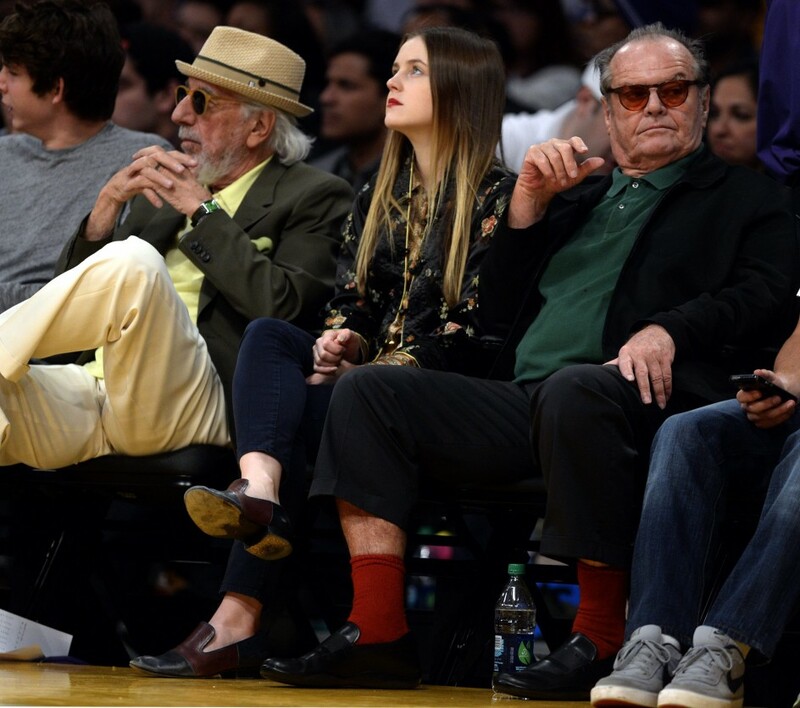 Neither seems to regain its usual seat at Staples Center to watch, night after night, to his beloved Lakers. Times of media Nicholson much came to an end does. Nicholson takes months section of the public scene and sources of Hollywood. Homebound, the rumors about his health have multiplied since November 2014 in the US media skip to the possibility that could have Alzheimer’s. Since then, his appearances have been few and little is known of him. In 2013, his alleged memory leaks were denied by the environment of the actor, who appeared at the Oscars (this would be his last major public appearance). In an interview this January to US Closer Magazine , the actor confessed that sentía panic die alone. He explained further that just left home and spent his days performing activities within his mansion. This week, on the occasion of his 78th birthday , attended a dinner with her daughter Lorraine, 25, and seems to have become the great support from the actor decided erased from the map. It was with Lorraine, who is also an actress, con who reappeared in 2014 after rumors about Alzheimer’s. The protagonist of One Flew Over the Cuckoo’s Nest , The Shining or The Departed look already about 80 amid rumors about his health and no projects on the horizon. His latest work on the big screen was a romantic comedy How do you know if …? which premiered in 2010, where he shared flat with Reese Witherspoon, Paul Rudd and Owen Wilson. On the other hand, his last major public appearance took place in 2013 when he attended the Oscars to present the award for best film was Argo .